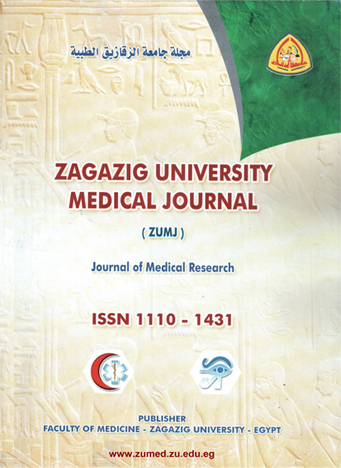 2Internal Medicine Department; Zagazig University; Egypt. Background: The level of Interleukin-17 (IL-17) have been found in increased frequencies within certain tumors. However, their role in cancer biology remains controversial. This study aimed to clarify the role of IL-17 in hepatocellular carcinoma (HCC). Subjects& Methods: It included a total number of 81 subjects. They were divided into three groups: 27 subjects as control group, Group I (27 subjects HCV cirrhotic patients without HCC), Group II (27 subjects HCV cirrhotic patients with HCC) . All patients included in this study were subjected to the following: Full clinical assessment, Complete blood picture, Liver function tests, Renal function tests, Coagulation profile , HCV Antibodies, HBs Ag ,α fetoprotein and IL-17. Results: our study reported statistical significance differences (p<0.001) between the three studied group in interleukin 17 level. The highest mean of IL 17 level were found in group 2 followed by group 1 and the control group had the lowest mean level. Conclusion: IL-17 levels were increased with increasing liver disease progression and chronicity, IL-17 may play an important role in HCC immunopathogenesis in HCV cirrhotic patients. Also, its therapeutic application needs to be evaluated by in vivo studies in experimental animals aiming at future immunotherapy..